En blijf op de hoogte van de nieuwste ontwikkelingen. 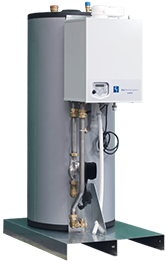 Eco Heating Systems, based in the Netherlands, is a manufacturer for central heating and domestic hot water solutions. For more than 20 years we develop, produce and supply innovative solutions for applications in offices, apartments, industry and sport facilities across the world. 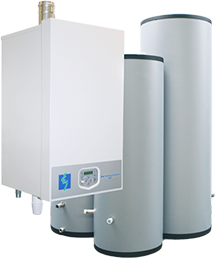 Due to many projects, we have a wide experience in both central heating and domestic hot water. 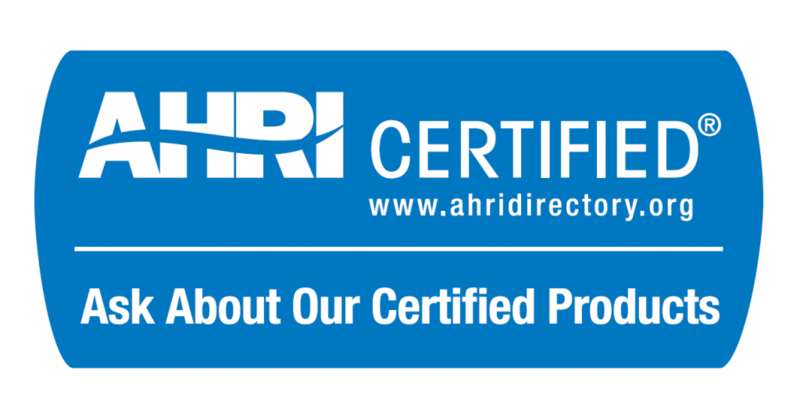 AHRI performance certification of Eco Heating Systems Residential- and Commercial boilers (RBLR & CBLR) finalized with efficiencies above 95%. Eco Heating Systems is happy to publish that we’ve received the formal welcome letters from the AIR-CONDITIONING, HEATING & REFRIGIRATION INSTITUTE (AHRI) yesterday. 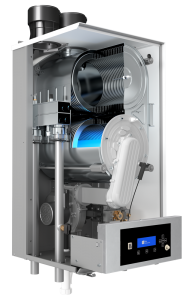 The technical department of Eco Heating Systems has achieved the development and certification of their new premium boiler range, with ratings of 299MBTU, 399MBTU, 499MBTU & 500MBTU, reaching AFUE or thermal efficiencies above 95% for all models. Eco Heating Systems is very proud of the development team achieving this important milestone and thanks all the people who have been working on the project. The AHRI certification together with the safety certification, that has been finalized in an earlier phase, enables Eco Heating Systems to market their premium products over the full north American market. 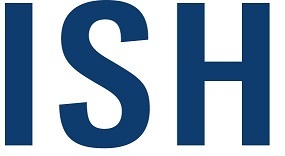 Eco Heating Systems is at the ISH 2019 in Frankfurt. The world’s leading trade fair, focusing on the responsible handling of water and energy in buildings. Coming March you can find us at the ISH trade fair in Frankfurt. This 5 day event will take place from 11 to 15 March. We hope to welcome you at our stand in hall 11.0 G92! If you want to go here, you can also request tickets through us, please contact our sales office. 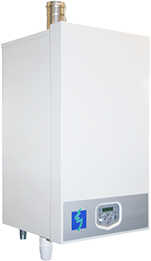 The CB range high efficiency wall hung commercial boilers are the best of both worlds. No compromises. 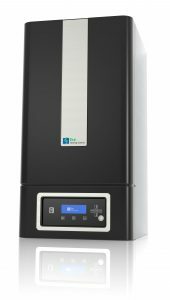 An aesthetically pleasing design combined with a robust stainless steel heat exchanger with 10 years warranty. 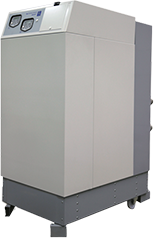 This CB Commercial Boiler is ready to heat any building larger than a house. 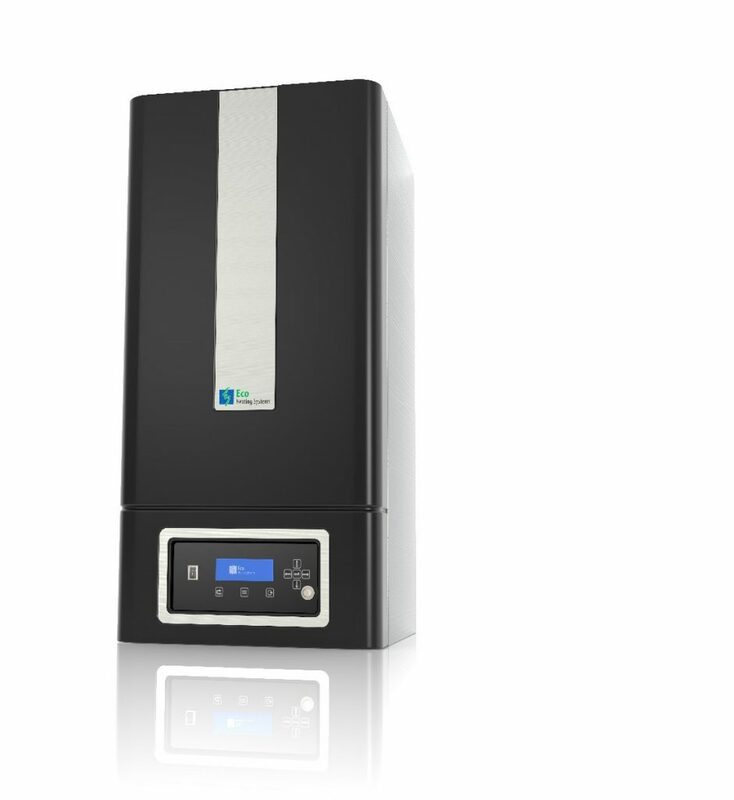 If more units are required, they can be inter-connected easily with the cascade manager, a standard feature that comes with every CB boiler. A clear display with graphic design makes it easy to monitor and program. Full connectivity (internet/wifi/Modbus/Bacnet) available.